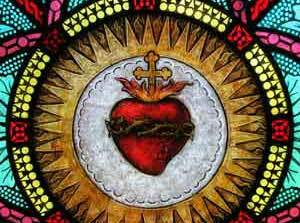 Sacred Heart is celebrated 10 weeks and 1 day after Easter Sunday so that every time it occurs on a Monday. It is a feast that honors the love of Jesus. To honor his love many Colombians have a feast with family and friends to show their love for one another. It is a national holiday in Columbia to which most get the day off in honor of Christ's love. The holiday started as one to worship the sacred wounds that Jesus received on the cross, but eventually was turned to celebrating his love. The holiday spread from Spain to Colombia due to the Jesuits and their focus on spreading Christianity.